Now in its 21st year, the Women’s Agricultural Leadership Conference returns April 10 with an agenda focused on better responding to the ever-evolving landscape on the farm. Held at the Minnesota Landscape Arboretum in Chaska, the day-long event features quality programming, leadership development and networking—all focused on helping attendees better endure change in agriculture. Building on the “Changing the Agscape” theme for this year’s conference, each session features thought leaders discussing the impact of increasing diversity on the farm, resiliency, navigating career change, rural policy and more. For a full agenda, visit www.womensagleadership.org/. For Mold, who has organized each of the 21 conferences held to date, the level of excitement throughout the day is what stands out. A collaborative closing session at the end of this year’s conference will focus on harnessing that energy to make an impact long after the conference concludes. A source of energy and one of the greatest strengths of the conference is the diversity of attendees each year, according to Mold, who said men and women, young and old, and from all professional backgrounds come together to produce engaging discussion. 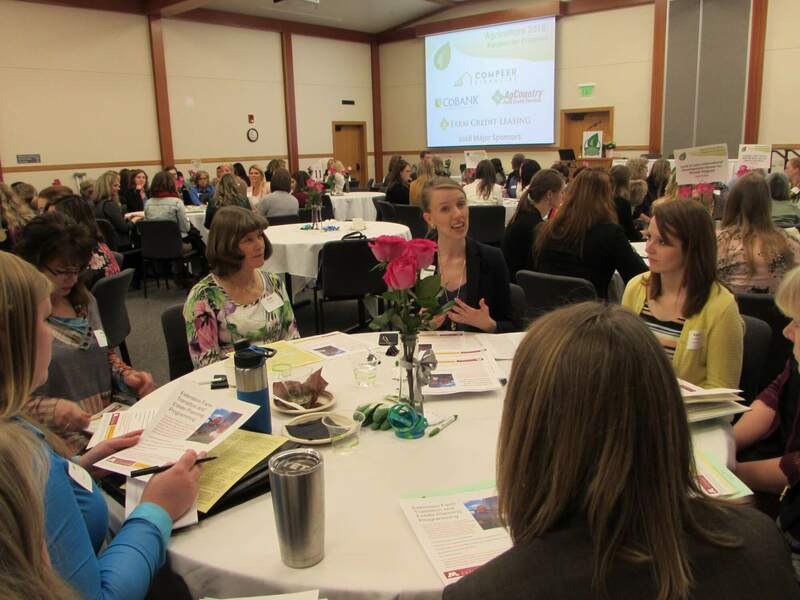 The one common theme fueling the collaborative environment of the Women’s Agricultural Leadership Conference is a passion for agriculture, and Mold hopes the farming community takes advantage by attending. “The conference is a great opportunity to get together with like-minded people. Especially after another tough winter, it is a great experience,” Mold said. All interested are still welcome to register for the Women’s Agricultural Leadership Conference, which kicks off at 8 a.m. on April 10. For people in need of financial assistance to attend the conference, scholarship opportunities are still available. For more information on a scholarship, contact Mold by clicking here. The Minnesota Corn Growers Association is a proud supporter of the conference and its mission to promote agricultural leadership among women.